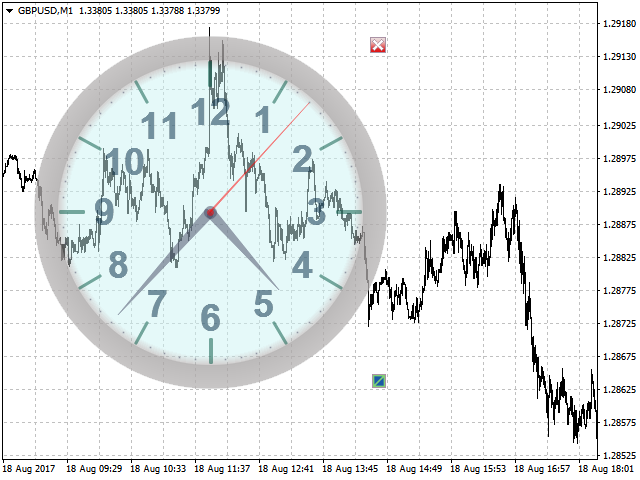 Analog clock with a second hand, which was missing in MetaTrader 4 for so long. The Clock can replace "Candle opening/closing indicators" ("timers")", etc. This utility is an advanced version of Simple Clock. Now the clock can be moved and scaled (Drag-and-drop), made transparent and drawn in the background. Local Machine Time - the software timer will be synchronized with the local time of the computer on which the client terminal is running. 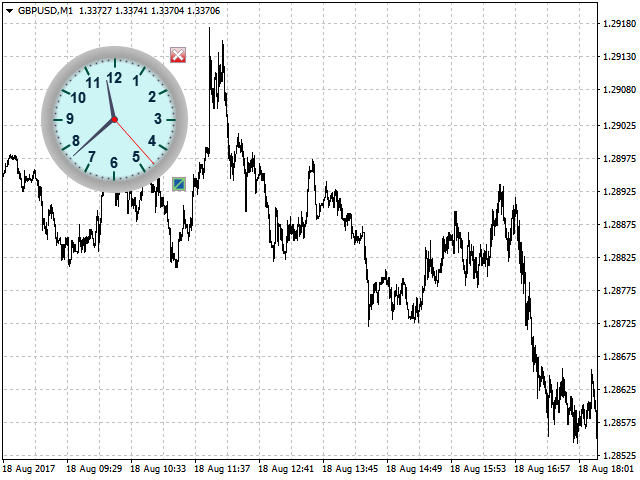 Drag-and-drop - allows to disable Drag-and-drop to prevent accidental movement or resizing of the clock. It is no longer necessary to run separate copies of the indicator.